A wide-ranging and draconian set of new rules in the European Union (EU) known as the Copyright Directive may end up destroying the internet as we know it. If Brussels has its way, everything from memes to alternative news and a range of internet past-times could be rendered a thing of the past. The EU has already agreed on the final wording of the new copyright rules, which will see online platforms held liable for any sort of copyright violation, doing away with elementary notions of what could constitute “Fair Use” and transforming the way in which internet users share information online. At the heart of the new directive, which is expected to be passed despite widespread public outcry, are two specific parts that have riled up critics and threaten to chill the sharing of music, memes and news articles. Article 11 of the rule, dubbed the “link tax,” would effectively force news aggregators including Google News, Bing, Yahoo and others to get a license from news publishers to link articles while also compensating publishers. 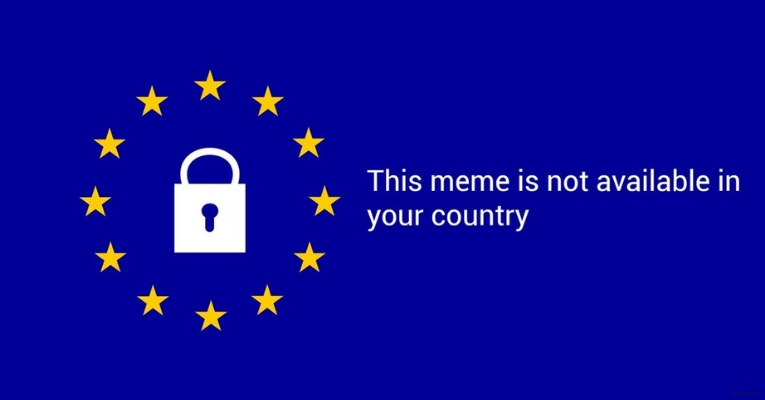 Article 13 has been described as the “meme ban” provision of the Copyright Directive, and would see major platforms screen all uploads to prevent any form of copyright infringement. According to the article, “online content sharing service providers and right holders shall cooperate in good faith in order to ensure that unauthorized protected works or other subject matter are not available on their services.” What this means, however, is that in order to protect their own assets, websites that are older than three years old that host user-generated content (like Facebook, Twitter and YouTube, among others), regardless of size, would be forced to crack down on content lest they face legal liability for material seen as infringing on copyrights. Advocates are urging people in Europe – and those beyond the continent – to visit the #SaveYourInternet campaign website and to contact representatives to halt what is being described as a potentially lethal threat to what remains of internet freedom.